Time now to get to know some of the artists behind Seattle Opera’s upcoming production of Le nozze di Figaro. 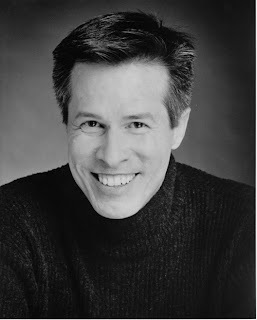 Let’s begin with our beloved maestro, Dean Williamson, a true son of Seattle Opera. 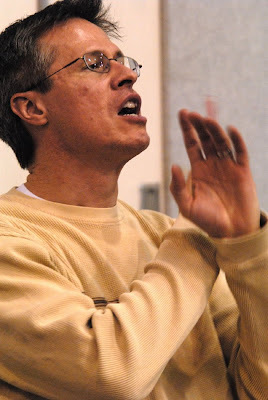 Williamson, who grew up in Bellevue (proud alum of Sammamish High School), was Seattle Opera’s principal coach/accompanist for most of the ‘90s. As the first Music Director of our Young Artists Program, he conducted nine operas for Seattle Opera at Bellevue’s Meydenbauer Theatre, and, at McCaw Hall, Tales of Hoffmann and Pagliacci. Williamson comes home to us now from Cleveland, where he is Artistic Director of Opera Cleveland. JD: Dean, you’ve played and conducted Le nozze di Figaro already a number of times. How many different Figaro casts have you worked with in your career? Any ideas you’ve taken from a performer in one cast and given to another later on? DW: Yes, Jon, at this point I’ve had at least 9 or 10 different casts, and it’s remarkable how each one takes on a personality of its own. The goal for a conductor in an ensemble opera such as Figaro is to keep the individual characteristics of the singers, but at the same time guide them into a musically cohesive approach that works with the dramatic line. Occasionally you get a singer that strays into unknown territory (the younger and inexperienced) or has a completely different concept (the older one who’s done it 50 times). The real fun comes when you get a cast that is a combination of the two...the younger ones doing the opera for the first time bring a freshness and excitement to the process, and the older ones bring a lifetime of experience. In that situation, the conductor is like a coach, helping them to find a common language, and occasionally keeping the musical arguments at bay! I’m always learning something new with each production, and of course cataloging in my mind great ideas that work. I never insist on anything except basic tempo...after that it’s a conversation. We can discuss interpretation, ornaments, an appoggiatura, pronunciation, etc. I’m not afraid to suggest something that worked for another singer, but in the end each cast member has to believe in what they do, and they have to make their own decisions. I look after the bigger picture and make sure by opening night we are all on the same page interpretively. JD: Any favorite memories you'd like to share, the ghost of Figaro productions past? DW: A favorite memory is doing the Countess’ third act aria “Dove sono” with Carol Vaness, one of the greatest interpreters of the role. I had just begun conducting, and was asked to step in at the last minute for an orchestra concert with her. How thrilling it was to stand next to her onstage, making music, and learn from her experience. She knew when to move, when to linger, and how to coax the best playing from the orchestra with her voice and musicianship. And, how to charm them in rehearsal, and get them all on my side! JD: Mozart is unusual among opera composers in that although German was his mother-tongue, he wrote amazing operas in Italian. Do you consider Le nozze di Figaro an Italian opera? And while you're at it, how do you go about getting a stylistically consistent, idiomatically Italian performance from a polyglot cast such as the one Speight Jenkins has assembled for you, which features a Pole, a Dane, a Frenchman, a German, a New Zealander, a handful of Brits and Americans, and no native Italians? DW: Figaro comes from the southern Italian opera buffa tradition, full of commedia dell’arte characters, fast patter songs, and complex plot developments. Maybe it was the hot sunny Mediterranean climate that promoted such fun operatic hijinks! At the other end 30 years later we get Rossini’s Il barbiere di Siviglia. Then 50 years after Figaro is Donizetti’s Don Pasquale, which by 1843 was written in a style that was already considered out of fashion and passé (opera had moved through bel canto and was now heading into Verdi and Wagner.) What is remarkable about Figaro is how Mozart turns completely away from the Handelian opera seria style of recitative with static aria. In Figaro everything propels the plot forward, even the arias...you really are watching a play set to music. The libretto could almost be performed without the music. JD: Ok, let’s talk ornamentation. Some conductors encourage their singers to jazz it up and vary the repeats at the end of the arias in Figaro; others don’t. The printed score we’re using also includes what look like ‘optional’ appoggiaturas in many of the recitatives. Do you insist your singers adhere to what’s written, or do you give them more freedom? What difference does it make for those of us in the audience with untrained ears? DW: You’re asking about one of the most controversial aspects of baroque and classical opera interpretation. We are living in a time of transition and renewed knowledge of period practice. Many of the tenets of the first generation of period scholars from the mid 20th century are being adjusted or questioned. Frankly, the pendulum will and always has swung from one extreme to the other in terms of ornamentation. It seems every 20 or 30 years we get a turn away from what is prevalent...this has gone on since the Renaissance. I take a more practical approach to ornamentation. We do know that Mozart expected it, the singers in his time did it, but what we don’t know is to what extent they ornamented. If you go on examples of his own ornamentation (the 1789 Vienna version of the Count’s aria, the cadenzas to his concerti, etc) you can see his style was more melodic in nature, much like Handel’s own ornaments, and certainly not Rossinian. Singers in that time probably did much more than the composers wanted, and we do know there tended to be a bit of friction between the living composer and the singers performing their music. Mozart also wrote to highlight the vocal prowess of each singer in his cast. We know, for example, that the first Susanna must have had a great lower register, but we also know that she was not good at doing appoggiature, so in frustration Mozart wrote them all out for her in the 4th act aria. I ask each singer to think about adding ornaments to the repeated A section of an aria. I won’t demand it, and ask them to wait until we are in a staging rehearsal to find the right ornamental gesture. Some singers take to it willingly, others by force of habit or training just can’t get themselves to do it. Usually I can convince them to do at least a few passing tones or appoggiatura. As for the appoggiatura in recitative, it was assumed by the composers that you would do it. I don’t subscribe to the old school of thought that you only occasionally added them when you wanted to color a word or turn a feminine cadence. The suggested appoggiature in the critical editions are exactly where you would be expected to do one…it was notational convention not to write them all out. Just as in Baroque ground bass notation or modern jazz improvisation, much was left up to the assumed knowledge of the performer. In the end, though, I wish we could all get in a time capsule and go back to 1780 for one opera! We’d probably be shocked at what we heard on stage and from the pit. JD: Sometimes opera companies that produce these comic operas engage one musician to conduct the orchestra and another to accompany the recitatives on the harpsichord. I understand that you’re somehow going to do both! Isn’t that a bit like patting your head and rubbing your stomach? DW: No, I find it an invigorating and exciting thing to do. The biggest challenge for a conductor also playing recitatives is finding a seamless flow from recitative to orchestral number to recitative again. It can be tricky just getting enough time to give a good downbeat, and I have to choreograph the transitions with my arms. Sometimes you want to overlap the final chords of the recitative over the beginning of the next number, which means the concertmaster and the orchestra have to be aware of the situation and memorize tempi. I mark in the parts exactly whenever this happens so no one is caught by surprise. By playing the recitatives myself I can help control the flow and pacing of the show, and it’s so much fun improvising the accompaniment to match the mood and intent of the singers onstage. All I’m given in the score are the singers’ lines and a bass line with suggested chords. Beyond that, it’s all made up in the moment. Many times Peter Kazaras (the stage director) and I will work out certain flourishes that have to happen in any given moment. And by being in all the staging rehearsals I can familiarize myself with the dramatic flow that he and the singers would like. JD: What’s your favorite moment in the opera? DW: Honestly, there are too many. This is one opera that never fails to amaze me, make me tear up on the podium, and make me laugh, no matter how many times I’ve done it. That is the brilliance of Mozart...as a composer he was able to distill every human emotion imaginable. The characters jump off the stage as real people, and in the music you get the soundtrack to their emotions. Hi Jonathan (and Dean): great article - just one questions: what is the definition of "appoggiatura" - I've probably had it explained to me before but I've forgotten. Sorry, I should have defined that the other day! An appogiatura is a 'leaning' note; in other words, the chord in the orchestra changes, but the singer hangs on to what they were singing a little while longer, usually forming a brief dissonance against the new chord. (Sometimes you make an appogiatura by overshooting the note a bit, forming a dissonance above a chord and then relaxing down into the note you were originally supposed to sing.) It happens all the time in Mozart recit and in bel canto generally, it's part of the style, and it's great because it adds piquant flavor to a melodic line. But it's possible to overdo it, and that's where a conductor's taste comes in! It even has a little example: though it is rather fiddlely to get it to play (you need Java installed). I'll try to listen for it during the opera. Yes, and go back and listen to the first minute of Wagner's TRISTAN Prelude as well. An appogiatura is really just a semitone, two notes a half step apart, and you'll hear how that figure--and the PAIN it implies, the dissonance, the yearning--becomes a central conceit in Wagner's musical vocabulary here, where it arises as an appogiatura at the end of the first phrase; they repeat that phrase twice more, in sequence; then just the second half, with the appogiatura that closes it; then just the appogiatura, in parallel octaves, twice, before swinging it into the first statement of the main love motif. Wagner uses it thus here, and all over the RING, and in PARSIFAL too.